Learn the Top Winter Car Care Tips to Brave the Cold! " "
When the temperatures start to drop, it’s a good time to start preparing for winter car care. Between routine maintenance and cold weather concerns, your vehicle can use a little extra TLC during the wintertime. The folks at Ray Laethem Chrysler Dodge Jeep Ram are here to offer our best tips and tricks to brave the winter weather, so you can keep your car in great shape all season long. Before you get ahead of yourself, dig out your owner’s manual. Each vehicle is slightly different, so it’s worth the time to read up on your particular model. Pay special attention to the recommended service schedule, so you don’t fall behind on an oil change or transmission flush. It’s easy to lose track of these maintenance services as the holiday season approaches. Are your brakes spongy? Is your engine idling? Are your wipers broken? It’s time to get to the shop. Cold weather only makes car troubles worse, so you’ll want to get a head start on the rush. Take care of these problems in the present to avoid major headaches down the line. You won’t regret it! Are your lights clean and functional? How is the tread and wear on your tires? Are your wiper blades working properly? Are your fluids topped off? An emergency kit can be a huge lifesaver in an unexpected situation, and it’s easy to assemble. You can buy pre-made kits online and in stores, but you can also create your own. Just get the container of your choice and fill it with essentials like a blanket, first aid supplies, flashlights, jumper cables, cell phone charger, and whatever else you may need for your particular environment. Even the most skilled DIY driver can miss a thing or two, so a professional inspection is a great idea before the harsh winter weather officially hits. A qualified mechanic can check components like battery, brakes, transmission, and heaters for performance. 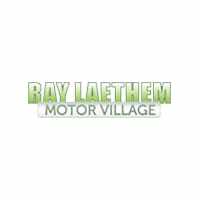 You can even schedule your service with Ray Laethem Chrysler Dodge Jeep Ram online.